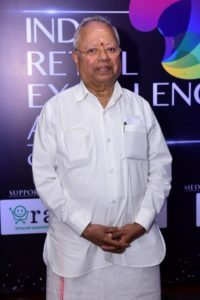 November 20, 2018, Chennai: India Retail Excellence Awards felicitated the best of the best in the retail industry at a gala ceremony in Chennai during the Chennai Retail Summit 2018. Retail is at an interesting juncture in India with new brands and formats entering the market and the old ones reinventing themselves. Consumption is on the rise, driven by aspirations and increase in per capita income. Technology is adding interesting twists by facilitating innovative business models, aiding efficiency and redefining customer expectations as well as experiences. It’s only fair to recognize the genius of all the pathbreakers in this new-age retail movement which is what IREA set to accomplish. “Today’s big retail churn is not just revolutionising Indian retail but also separating the winners and the laggards. Brands that have their fundamentals right and are focused on all the right things are emerging as trendsetters. RAI is pleased to support The India Retail Excellence Awards that have been instituted to shine the spotlight on these stars of retail who have shone bright despite all odds. We see it as a recognition of their eﬀorts, focus and hard work and salute to their indomitable spirit to constantly stay relevant to the times, the customers and the industry,” said Kumar Rajagopalan, RAI, CEO. With as many as 22 categories, the inaugural edition of India Retail Excellence Awards was inclusive and gave due consideration to the many formats of retail such as Ethnic Wear/Apparels, Family Store, Food and Beverage, Services. There were some special categories of awards that sought to appreciate those who influence retail and have been innovators, propagators and trendsetters. A jury panel comprising eminent personalities from the industry, thoroughly evaluated the entries shortlisted by a reputed audit agency to select the winners. 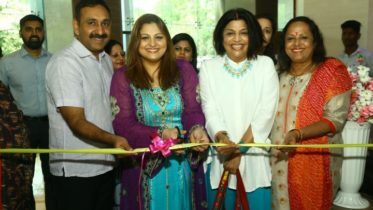 The awards were given away at a gala ceremony in the presence of the who’s who of the Indian retail industry in Chennai.